If you prefer a bit of rough in your designs, creating rings with metal clay may be right up your alley! 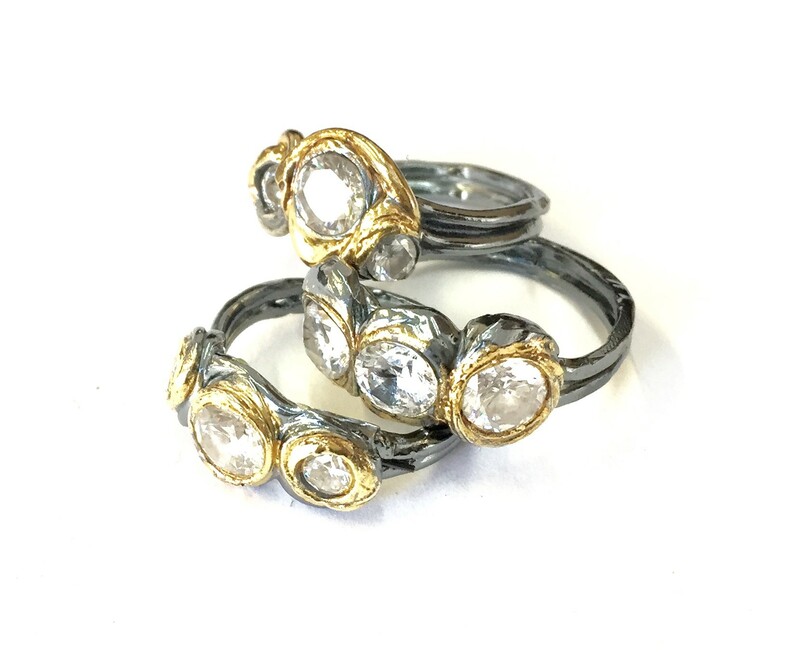 In this class students will create several rings working with a PMC3 syringe on a mandrel, while adding faceted stones and accenting with gold. Students will also learn to allow for shrinkage to be sure their rings are the right size.